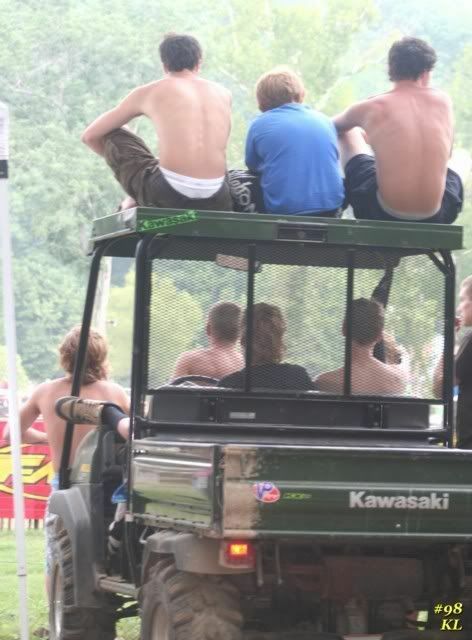 Loretta Lynn's 2008: I will have to say this is my favorite time of the year. It's not only because it's warmer, or that it stays lighter in the evenings. Of course, it's for the fact that the racing gets more and more exciting over the summer months. From the PAMX series races to pro nationals that dot the northeast region of the country, there's always a race to attend and talented racers to watch. And luckily for us we have gotten to see so far this year some of the best racing right in our own backyards. And two of these races dealt with the mother of all amateur championship races, the illustrious Loretta Lynn's Championships. Not only do these races bring in the district racers we all know so well, it also brings in racers from up and down the eastern coast and some from throughout the US. We've all attended races at High Point and Steel City, we've all seen how great the track can be for a regular weekend of racing. But nothing can beat the feeling one gets when they know that a Loretta Lynn qualifier is taking place. It's almost a surreal feeling, knowing that these racers on the track are competing to be included in a motocross championship so huge in both talent and pride, it can boggle ones mind. When it comes down to it, you must wonder how a racer handles the pressure that comes with trying to qualify for Loretta's. The prestige alone can grab ones mind, let alone stories from racers lucky enough to have qualified in the past. Tales of 115 degree weather with mile high humidity, torrential downpours that flood the entire facility, 40 man gate starts that can scare even the best of the best; it can be exhausting just thinking about it. And yet these racers still sign up for these qualifiers and with as much hope as they can muster, hope that they can go to Loretta's and challenge themselves to the ultimate degree. They spend time and patience on getting prepared for the work that will have to be done to qualify. Racers will hit more than one area qualifier just to be sure that they have more than one chance to qualify in a regional qualifier. To put it bluntly, crap happens. Bad luck can strike the fastest of the Pro-Sport A class to the kids in the 50 class. Having a backup is never a bad idea, sure it might cost more money and more time but when it comes to Loretta's, there's no such thing as too much. When one really thinks about it, the dedication a racer has when trying to qualify is astounding. It's a power struggle from the month of March right on up to the race itself. It's no secret that it cost money to be involved in the sport of motocross and it's no secret that it's not cheap wanting to get to Loretta's. So when so much is on the line: pride, determination, aggressiveness, money, faith; it can turn an everyday amateur rider into a professional racer in the blink of an eye, no matter what the age. Even if a racer doesn't end up qualifying for the Big Dance in Tennessee, it can't be denied that even though they knew it would be an uphill climb they never gave up. They still gave it their all, they never let the word "can't" enter their thoughts. There's something to be said about that, something that is worth recognizing. Friends and family are still proud of their racer and hopefully the racer feels the same way about themselves. 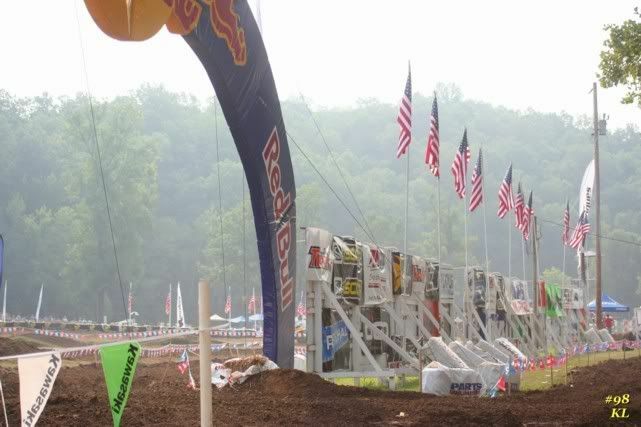 Just lining up on the gate at a Loretta Lynn qualifier takes courage and it definitely earns the respect from everyone who is watching. And for the racers who do qualify for Loretta's? It's a dream come true for them. It's a goal that has been fulfilled, a prize after months of practicing and hard-fought battles qualifying. Racing at Loretta's can be a stepping stone for many of the participants for their future in the sport, it's a way to get recognized for the talent that is present in every racer there. So, remember the racers that will be in Tennessee racing in outrageous hot weather at the end of July. Wish them luck and hope for the best. They have worked extremely hard and deserve every bit of credit for participating.